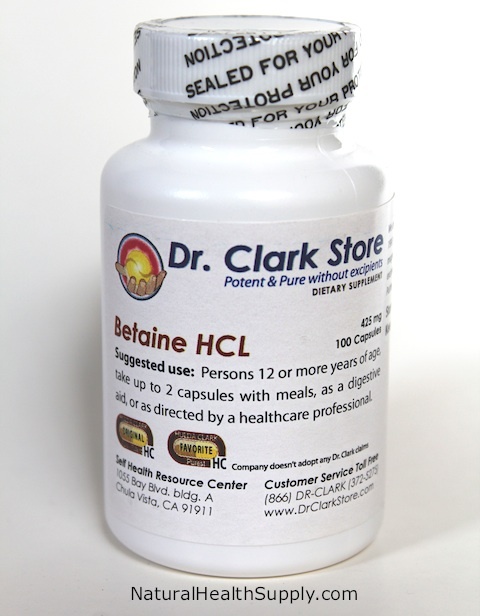 Each of the 100 gelatin capsules contains 425 mg of Betaine Hydrochloride, guaranteed pure and potent from Self Health Resource Center. Suggested Use: Persons 12 or more years of age, take up to 2 capsule with meals as a digestive aid, or as directed by a health care professional. Store this product at room temperature. Keep away from children.